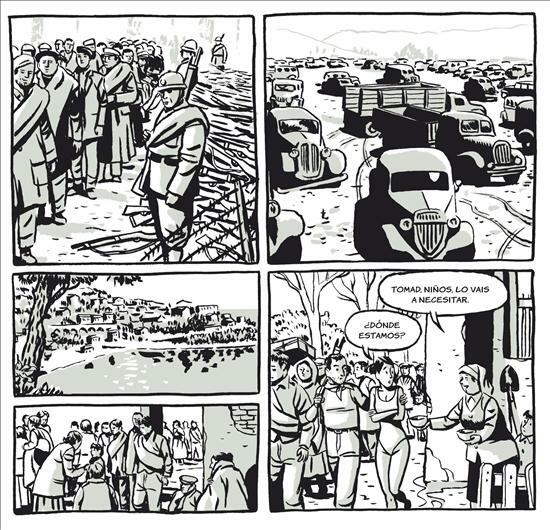 Prize-winning graphic novelist Paco Roca has just released El ángel de la retirada (The Angel of the Retreat), EFE reports, a historical novel based on a script by the novelist Serguei Duonovetz set among second-generation exiles in post-war France. The main character, Victoria Valiente, has to decide whether or not to return to Franco Spain. Meanwhile, she dreams of a Republican soldier who takes her to the beach of Argelès-sur-Mer, the location of one of the largest concentration camps for Spanish refugees. In 2008, Roca was awarded Spain’s National Graphic Novel Award.